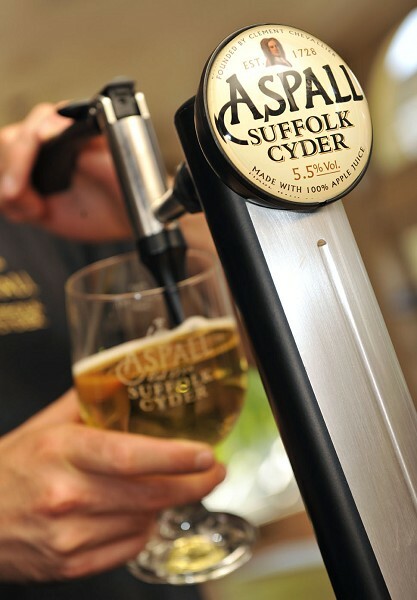 Aspall Draught: Probably the most common apple cider in pubs. It is sold on tap and served in stemmed pint glasses. Crystal clear hay color with apple vinegar aromas on the nose. No head at all and has less carbonation compared to bottled ciders. Semi-dry almost sour palate with fresh gala apple notes. Really enjoyable. My favorite among draught ciders. Rekorderling: It's a relatively new Swedish brand with an eye-catching hip label design. Sold in bottles and most pubs carry their line. To be honest bottled ciders taste very similar to each other but Rekorderling has a very diverse product line. Their simple pear expression has been my favorite: Great nose with fresh cut unripe pear aromas. Not very sweet on the palate: fruity, citrusy and crisp. Sweet pear tart notes with a good dose of vanilla. It doesn't go bland in time with ice cubes melting in your glass, on the contrary it helps to cut the sweetness. Bulmers/Magners: The classic Irish cider everybody knows of. You can find their apple cider widely on draft in pubs but the pear expression comes in bottles only so far I know. Very refreshing, sweet, fizzy and extremely easy going. It has a feeling of an artificially flavored soda rather than an alcoholic beverage and gets pretty watery if you let the ice cubes melt down in your glass. I think I liked their pear cider a bit more but to be honest both of them have the tendency to get boring after a few nights in a row. I have to admit it would feel great under the summer sun in a pint filled with ice cubes though. Strongbow: Probably the most common cider on tap all over the world. It has a bright yellow color with quick disappearing head. Some faint ripe apple aromas on the nose but generally flat and boring. Its light body and texture makes it pretty easy to drink though. Pleasing, not too sweet, thin apple juice notes on the palate. Not a strong cider which will convince people to switch their drink of choice but will do the work at a hot summer night when you are not in a mood of a pint of beer.